We are going to open the staff position to help with the workload and reading of new posts to the forum. Contain the ability to excellently demonstrate a well-tuned usage of the English vocabulary at minimum. Have the ability to construct sentences with no major grammar errors without the aid of magical assistants or invaders. Withhold, at minimum, a basic understanding of the gaming and electronic industry. Contain a required and vital essence of respect and trustworthiness. A webapp based Android app for ConsoleCrunch.com with basic navigation functionality developed by Please Login or register to view links or Console ID's. *WHY IS SONY BANNING US FASTER THEN LIGHTNING + **HOW TO PREVENT IT!!! 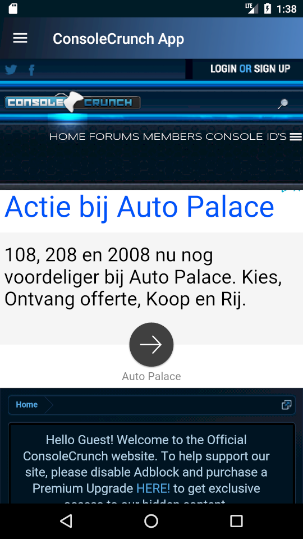 ** 100% WORKING! well i got the answer for you! First, Click the "Like" button so i can get likes cause 9* is pretty Embarrassing..
And if you cant see the 2 Spoilers under this, Then you have to scroll up and click on sign up or login to an existing account. provide you with the reasoning to why you get banned faster then lightning and how to prevent it! After alot of development and testing from "CoolStar" and "Team Electra" the all new and improved jailbreak "Electra" has been updated to version "2.0" I like to think. Best thing about it, its an untethered jailbreak So, what are we waiting for? Lets get into it. All credits go to somebody called ps4dev for his comment on github about using Webbrowser application cache (Please Login or register to view links or Console ID's). Now you can disconnect internet and the exploit page will work offline until you remove the webbrowser's cache in the webbrowser settings. If you are interested in this topic(PS4 elf loader tool) visit the following link for more information on how you can do it or simply to learn more! 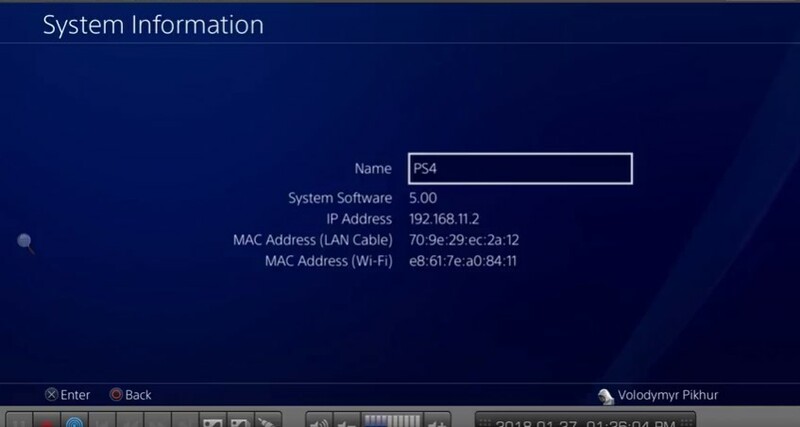 A few days ago ps4 hacker SpecterDev who also released the 4.55 exploit for the ps4 announced on twitter that in the next few week's he will be releasing a fully fledged jail brake for the ps4 on firmware 5.05 this is massive news for the ps4 modding scene and will be one of the biggest exploit's to be released so far. If you buy a new PS4 it is basically guaranteed that it wil come with firmware 5.05 or lower allowing most people to use the kernal exploit and jailbreak there ps4. SpecterDev also stated that he will be releasing tool's for homebrew development along with the kernal exploit Witch means that there will be alot more people being able to work on new homebrew content for the ps4. This goes without saying, but if you have a console on or below 5.05, do not update for now! Wait until an actual release!